I wanted to do something special for new year and give to loved ones. But on the same time, I am lazy to do lot of works. So looking through recipes and search for something easy and sweet..and Tadaaaa......found this tiramisu recipe on blog nameeroslan. Thank you for the recipe. 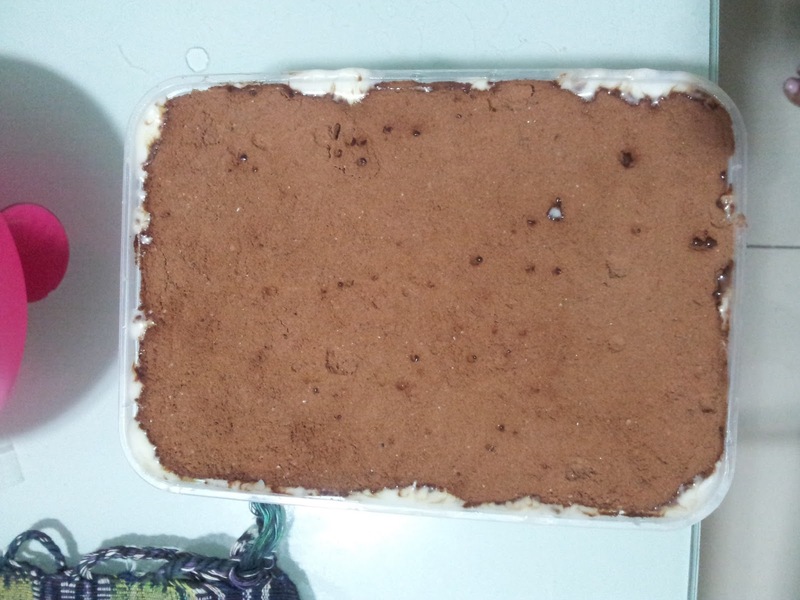 I took that recipe and did some alterations to make life even more easier...hehe..
Tiramisu is a popular coffee flavoured Italian dessert. But, what I am going to do is not a tradtional recipe. This is easier modified recipe. First, I bought these ingredients. Since I am lazy to go far for malls, I searched for ingredients in the nearby shops only. So had to go many shops to get everything. If you go malls like Tesco, you can get everything in one place. The ingredients are Marie biscuit, Castor Sugar, Whipping Cream, Cream Cheese, Chiffon Cake, Coffee powder, Milo 3 in 1. 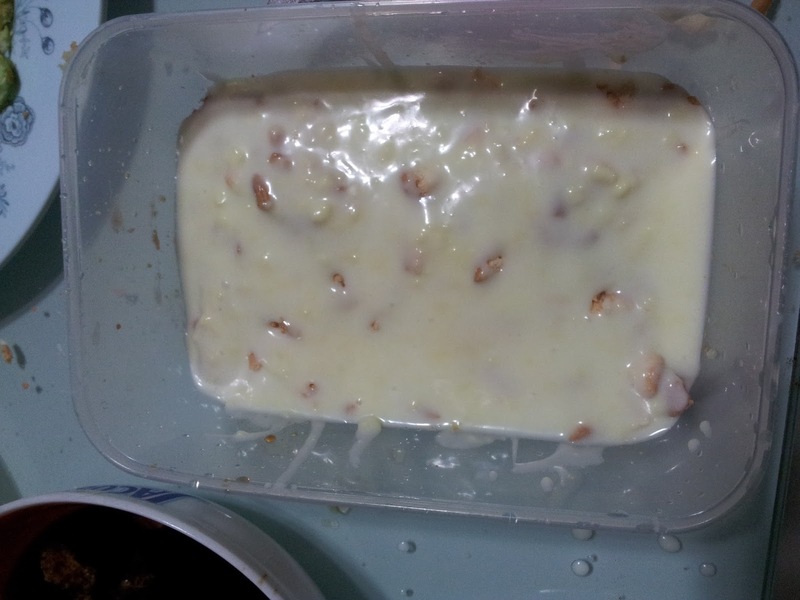 Firstly, I mixed 200g whipping cream (buy in packet. don't buy the spray), around 200g cream cheese and small mug of castor sugar. Mix them well. Better use the electic mixer. I don't have the electric mixer, so mixed using fork. I mixed and mixed and mixed until my hands got tired and I gave up. Suppose you should mix until those mix well without any solids. But mine had tiny cheese bits...Whatever la...hehe..
Then, I made black coffee. I mixed coffee powder ( I bought brand Kapal Api) and castor sugar and prepared in a bowl. 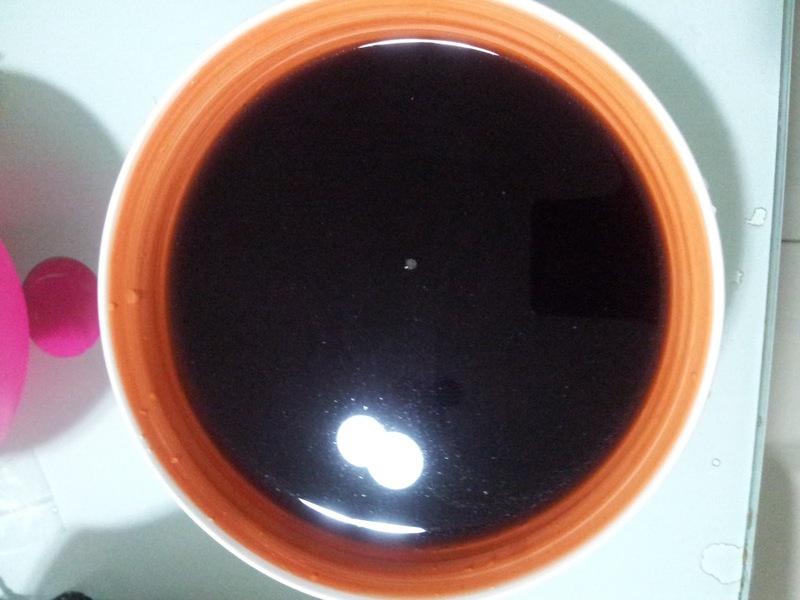 I filtered the black coffee few times to remove the coffee powder residue. 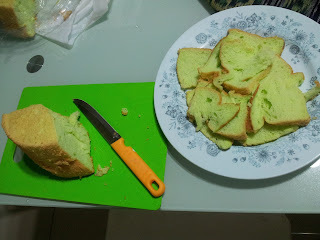 Then I sliced the chiffon cake in thin slices and kept it aside. I bought pandan flavour chiffon cake. You can use sponge cake too. 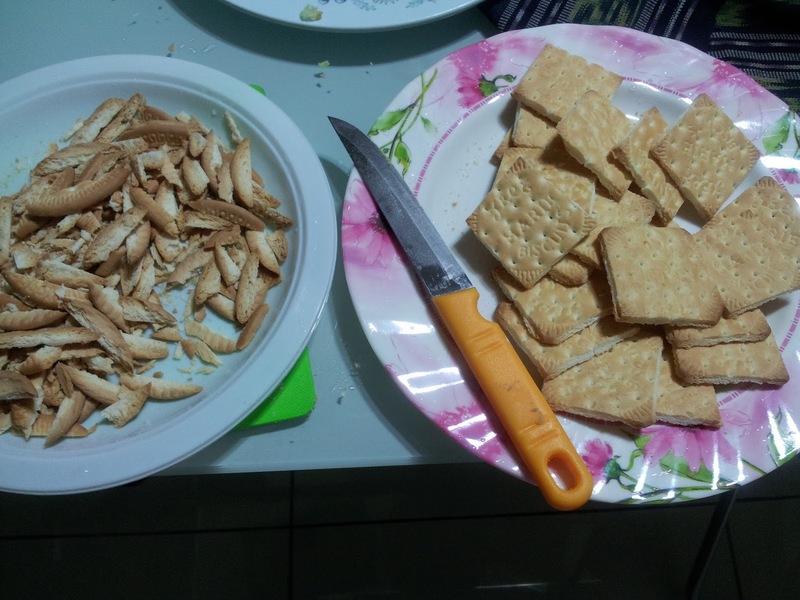 And then, I cut the marie biscuits in square shape and kept the tiny bits in another bowl. You can use lady's fingers biscuits too. Then, come to the last stage. Firstly dip the sliced cakes in coffee and arrange in a tupperware. Don't dip too long. Just dip and take it out immediately. 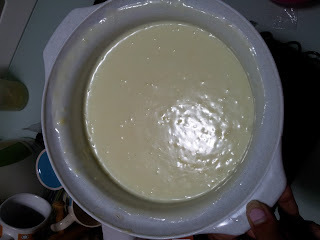 After the cake slices, pour the castor sugar + whipping cream + cream cheese mixture on top of it. We call it the mixture..hehe.. Next, dip the square shaped marie biscuits into coffee and arrange as a next layer. These biscuits also don't dip too long. Then, the biscuit crumbs add on top. The crumbs no need to dip in coffee. And then, pour another layer of the mixture. Followed by cake, mixture, biscuits, mixture and so on until finish. But, make sure the mixture is the last layer on top. Finally, pour the 3 in 1 milo powder on top and spread it. After that, keep in fridge for 8 hours and eat... yummy!!! 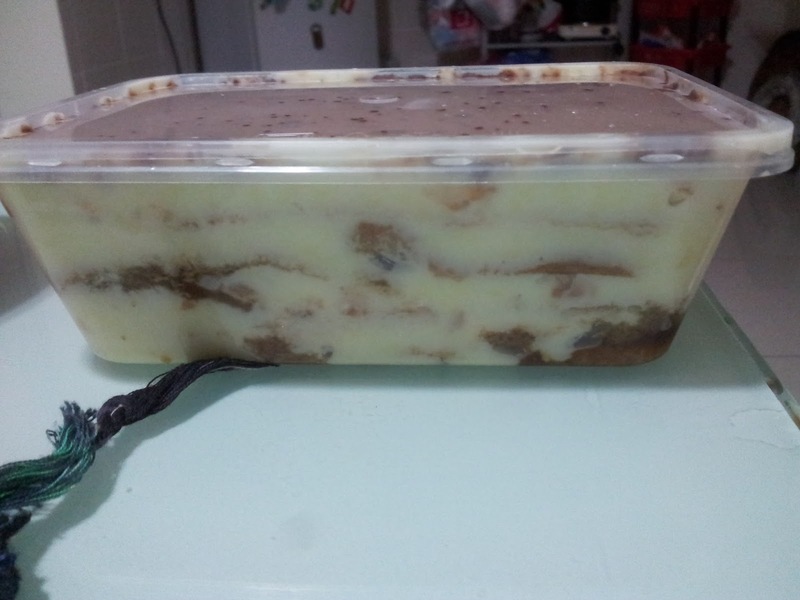 I made 2 boxes of tiramisu. I kept them overnight in fridge. 1 box I brought to work today and gave for my supervisor's kids. The other one I keep for new year tonight, I guess. You can do it any container you want. You can make it look cuter by doing it in cute containers. 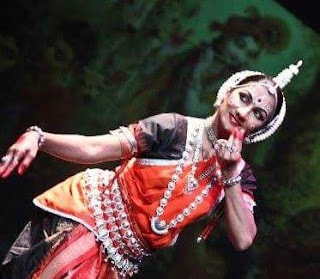 Anyhow, happy trying!